Honda Atlas has triggered the teaser. Pioneering a new car, the official web and social media accounts have put on a ruffling ad, said a new car is revealing. The brief teaser, however, couldn’t deliver much detail about what exactly is cooking for the new addition. Oh but the headlights! Oh! Oh! Those have spilled out the story, already! 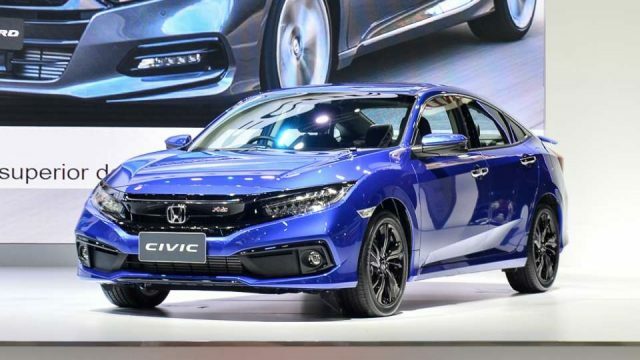 The 2019 Honda Civic facelift was officially unveiled at the 2018 Thai Motor Expo in Thailand. Being already launched in US, it is now coming to Pakistan and sooner than we were expecting. One of the logical reasons of guessing its 2019 facelift that theHonda Civic 2019 facelift features an updated version of Android Auto and CarPlay-based touch screen infotainment systems that has a volume knob. Other than this, features like adaptive cruise control, lane-keeping assist, and automatic emergency braking are also added to the upcoming Honda Civic. However, the engine and transmission remain unchanged with 1800cc R18. As for the Price of this updated version, Honda Civic Facelift 2019, 1.5 to 2 price is estimated per hike. Put halt to your big-modification’s expectation because it’s all exterior that’s gonna be aesthetically modified. Minor changes to the interior might be made but who knows if a surprise awaits? Stay connected with HamariWeb.com to discover more.